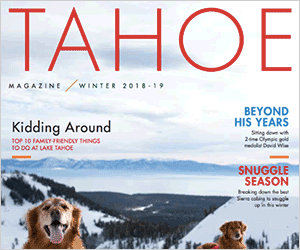 It is unfortunate the Truckee Donner Land Trust has chosen to make the future of the Donner Summit Valley a contest between a lake and a meadow. The tragedy here is that these two natural resources have coexisted synergistically for over a century. Our group, SaveVanNordenLake.org, has been trying to negotiate a compromise for the last three years that would preserve that synergy between the biodiverse habitats that make the valley the wonderful natural resource that it is today. There have been many claims made in this controversy, some of them directed toward our organization. They really boil down to just three issues: water rights, lake preservation vs. meadow restoration, and financial influence. Let’s address each of those issues. TDLT claims that the water rights process would be a prohibitively expensive process. To understand this issue, it is important to know the history of water rights in the valley. It is laid out in a letter from the State Water Resources Control Board (WRCB) to the Land Trust in April 2014 and is available at our website. That letter specifies that a large portion of the water rights have reverted to the state and the WRCB invites the TDLT to apply for the rights. TDLT was aware of the water rights situation even before they acquired the land. Even when they acquired the land and their plan was to preserve a 49 acre-ft lake (which is all that we are asking for) they failed to apply for the water rights. Had they started the application process then, we would not be having this discussion now. When TDLT announced their plan to drain the lake in early 2014, our group started negotiations with them and offered to finance the application for rights to 49 acre-ft of water which TDLT was willing to accept. Unfortunately, we could not get agreement from the USFS to support a lake on the property and the deal stalled. Fast forward to the present and the WCRB forced TDLT to release the water in the lake because of their complete lack of action in attaining the rights. And just to be clear, 49 acre-ft of water is a miniscule amount of the water that comes from the Summit Valley watershed. Our group has consulted with a water rights firm in Sacramento and were advised that water rights are probably attainable for a reasonable cost that our group would be willing to finance. A divisive element that has been added to this debate is the pitting of meadow restoration against the preservation of lake and marshland habitat. No one denies the value of high elevation meadows like the existing Van Norden meadow. However, TDLT has chosen to deny the value of the unique lake and marshland habitat supported by Van Norden Lake and justify its destruction in the name of meadow restoration. The majority of the Summit Valley is currently a thriving seasonal meadow. Van Norden Lake is unique in the area, mimicking a terminal moraine formed lake. It raises the water table and provides sustained inundation of the surrounding marshland habitat supporting aquatic flora and fauna. It is breeding habitat for fish, amphibians, water fowl, and shore birds. The fishery supports Osprey and Bald Eagles. Draining the lake will remove these habitats and replace them with more existing seasonal meadow. By definition, the removal of habitat and its associated fauna and flora is a decrease in biodiversity. Claims by TDLT that meadow restoration will increase biodiversity defy logic. While this is true when meadow is restored from less diverse habitats, in this case the more diverse lake and marshland habitats would be replaced by more of the existing habitat, a net loss. Finally, our group has raised the issue of the financial influences in this controversy which have been downplayed or denied by some. The fact is, TDLT has always stated that they intended to sell the property to the USFS for $2 million. This has been documented in many places. The fact that this has significant influence on the future of the valley is evident by the change in the original TDLT plan to preserve a 49 acre-ft lake. It wasn’t until the beginning of 2014 when the USFS announced that it would not buy the land with a lake on it that TDLT switched to their meadow restoration/lake destruction plan. George Lamson is a Soda Springs resident and co-chair of the group Save Van Norden Lake. Visit SaveVanNordenLake.Org to learn more.